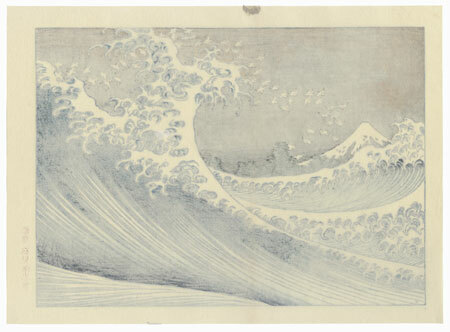 Fuji at Sea (Hokusai's Reverse Wave) - Spectacular image of an enormous wave peaking at right in a spray of white foam, a flock of birds scattering in flight overhead. The snow-capped peak of Mt. 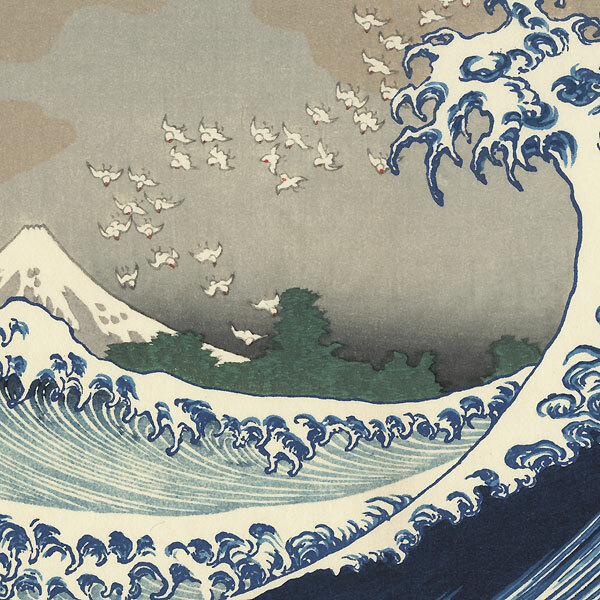 Fuji is seen in the distance, framed by the raging sea. 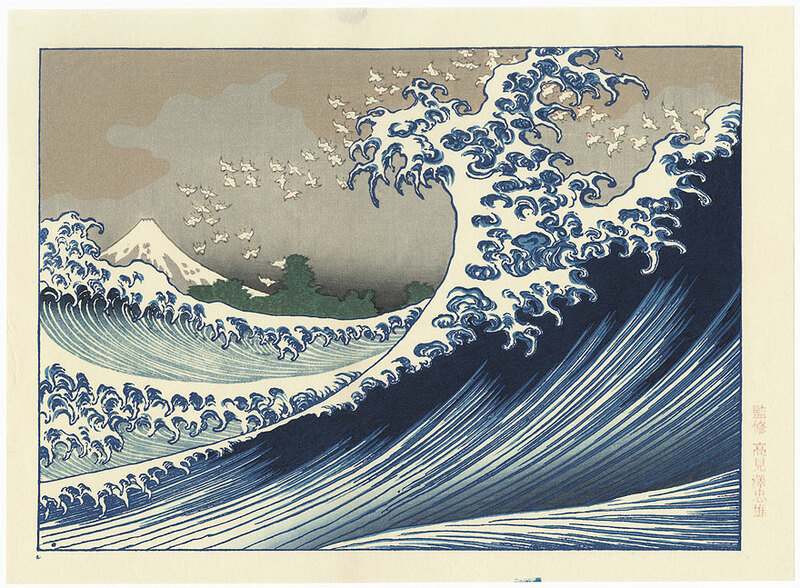 An incredible Hokusai design, beautifully colored and detailed.